As we enter in to the long cold winter days here in New York, there’s nothing I like better at the end of the day than sitting on my couch watching my favorite shows with a hot cup of tea in my hands. As a matter of fact, as I’m typing out this review, I have a cup of tea sitting next to me that smells as good as it tastes. It’s Moroccan Mint from Tea Gallerie and it’s one of three flavors they sent me for review. My husband and I have been enjoying teas from Tea Gallerie for years. We both love their selection of flavors. We are currently enjoying three selections that are sure to please any palate – Moroccan Mint, Earl Grey, and White Coconut Creme. 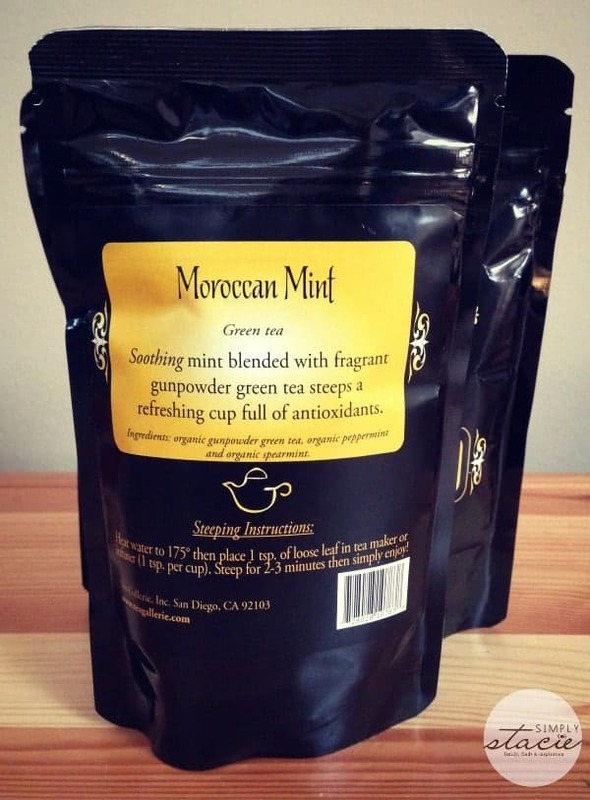 Moroccan Mint is a green tea with a nice subtle minty taste. I love the smell of this tea as much as the taste. Their Earl Grey is a traditional black tea that is perfect for any occasion. I love all things coconut, so the White Coconut Creme is a big hit for me – smooth and creamy, with just the right amount of coconut taste. 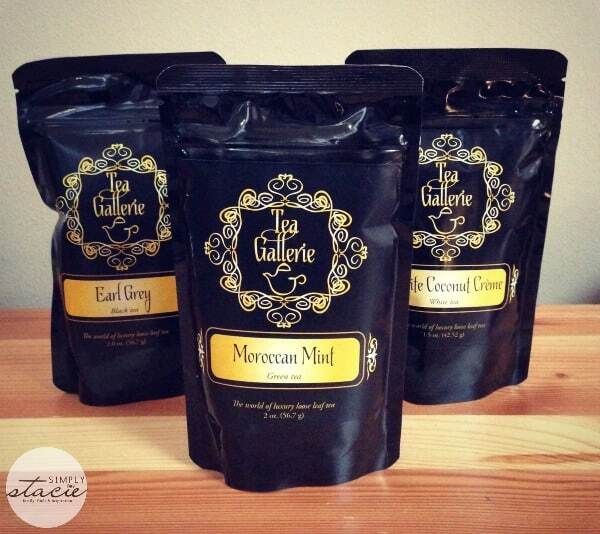 The Earl Grey and Moroccan Mint 2oz pouches I received sell for $9 each of the Tea Gallerie site. The White Coconut Creme 1.5oz pouch sells for $11. What I like about the pouches is that they are resealable, easy to store, and they have the steeping instructions right on the back. If you’re a tea lover, check out the Tea Gallerie site. You’ll find a great selection of teas and tea accessories that include infusers, tea pots, and tumblers. Tea Gallerie’s mission is to help you make healthier and more exciting tea choices – and I think they do a great job of that! You can see all they have to offer on their site. You can also follow their tea culture on Facebook, Twitter, Pinterest, Google+, and Steepster. I would like to try the dragon well (green tea). But I would also love to try many of their other flavors! I wanna try the Midnight Vanilla. I’d love to try the Lemon Mango green tea. Sounds so good! i would love to try the Darjeeling Oolong tea. I would love to try the coconut chia tea. I’d like to try the Darlin’ Darjeeling. I would like to try the Love And Happiness flowering tea. I would like to try the Winter Berries Herbal Tea!